Parents of young children who enjoy jogging & walking at all times of day various weather conditions need a way to light the stroller to be more visible to cars and pedestrians to increase safety. 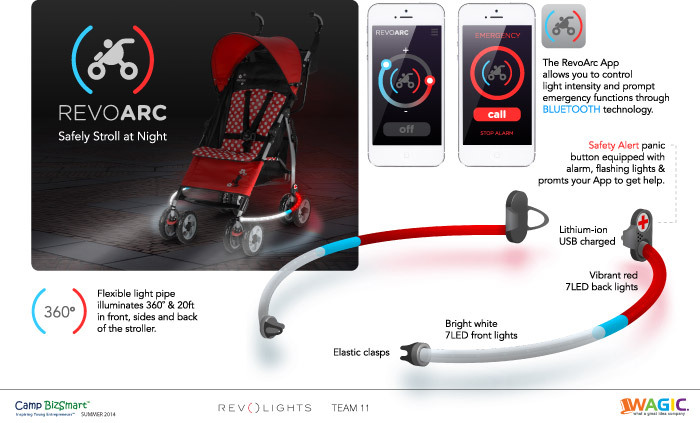 Design a new and innovative lighting device/product for children’s strollers, that will significantly increase safety. Parents of young children who use jogging strollers are the primary target user. If possible, make it adaptable for all types of strollers to increase market size. 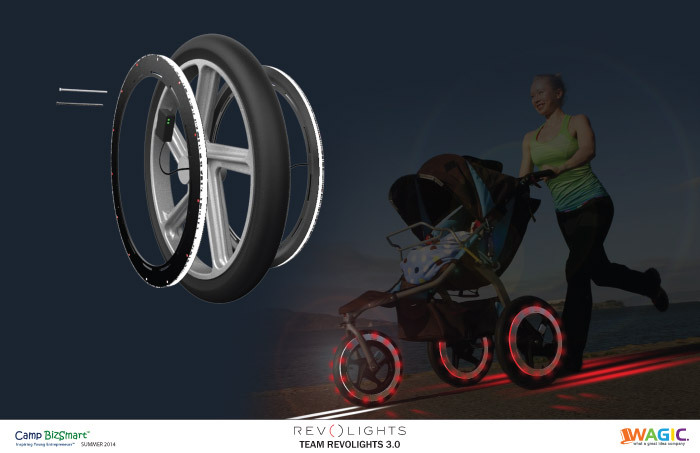 Design a new and innovative lighting product that will light the pathway and dramatically increase the visibility of the stroller making it safer in low light and congested situations. Your energy efficient light should last for at least four continuous hours without charging. An elegant and simple design that would adjust and connect to all types and makes of strollers. Safe, durable and easy to maintain. Lighting system should light pathway in front of the stroller 20 feet and should enhance visibility of stroller to others from side and rear. Price to optimize market penetration/profitability, appropriate for the product & priced to gain competitive advantage. Materials must be durable, cost effective, easily attainable & when necessary easy to service or replace. Prototype ready for testing by end of year 2014. A competitive analysis including size of market opportunity, features, benefits & advantages which will differentiate your design from others on the market. Marketing tagline & sales promotion strategy that is most cost effective and able to reach largest audience using social & traditional media. Distribution plan for your new product. 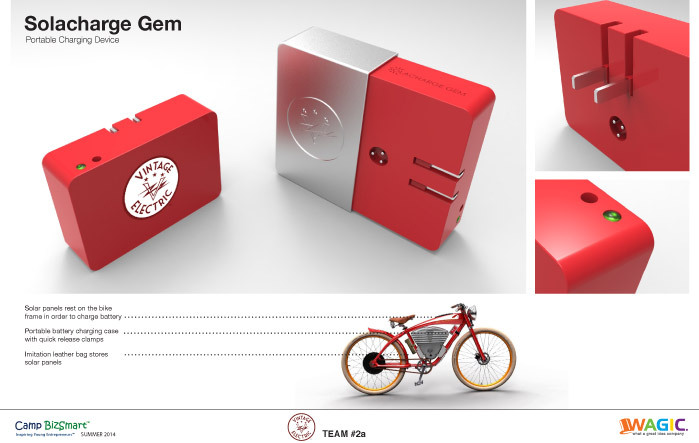 Product sketch, rendering, & if possible, simple common material product prototype to illustrate how product works. Electric Bikes are a fast growing segment of the energy efficiency market. In order to vastly increase usage and convenience, portable, alternative energy charging stations will be required to take this exciting new form of transportation to the next level. 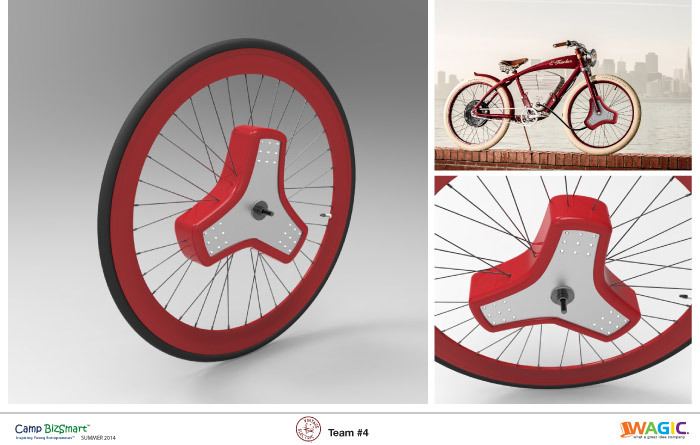 Design a totally new, unique and easy to use alternative energy charging device that is as cool as the bike itself. Customer that commutes more than 30 miles per day or who does not have easy access to standard household outlet.